This year I decided to go with a top 10 list. I saw nearly 50 movies in 2018 so it was hard to narrow this down. I tried to go with some variety so if there were a couple of movies that were similar that I liked, I would knock out one for the other. For example Into the Spider-Verse replaced Ready Player One (as an amazing 3D experience), Incredibles 2 (as an animated movie), and Avengers: Infinity War and Black Panther (as my favorite superhero movie). If you are like me and see a lot of movies, it is refreshing when you see a new concept you have never seen before. I love post-apocalyptic style films and tv shows. 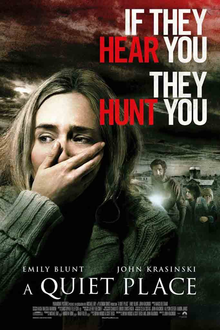 In this movie we follow a family who can’t make noise because the monsters that are terrorizing earth are blind but their hearing is beyond the ability of even dogs. If you make a sound it’s over for you. 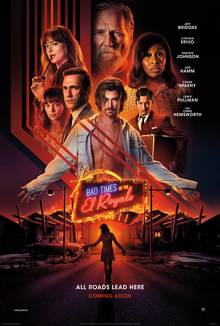 I saw this movie in Dolby Atmos where you have speakers on the ceiling. Most of the movie was so quiet but with the extra speakers it felt like you were in the scenes with them. If you haven’t seen this movie yet, why haven’t you?! What’s your excuse?! 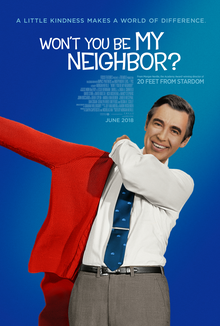 This is a documentary about Mr. Rogers and it was something that I needed to see. Fred Rogers mission was simple, it was to teach children to “Love your neighbor and love yourself”. He succeeded and it was a message I needed and one we need today in our world right now. Fred Rogers had a choice back in the 1960s to either become a minister or a children’s tv show host. He saw the junk that was being produced for kids and he wanted to promote a message of goodness and speak directly to the children through the TV set. What I loved was hearing movie reviewers share his Christian message that reflected Christ’s message in the Bible of “Love your neighbor as yourself”. I was sniffling through this entire movie and I wasn’t the only one. There were people crying throughout the theater. I compared it to going to a memorial service of someone whom you never knew in person but once you heard of the difference he made in the lives of so many people, you couldn’t help but weep. If you haven’t seen this movie… SEE IT! But make sure you have Kleenex handy. 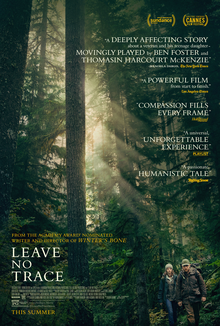 Leave No Trace is a fictional movie about a homeless father and daughter who are living in a national park. It follows there journey from how they are living in the wilderness to their story after they are caught and put into the system. The acting is so great in this movie that it feels like these are real people. It also gives a different perspective on the mental illness that some of the real homeless face. This movie surprised me. If there is nothing else I’m interested in seeing I will typically look for an obscure movie that I know very little about. Eighth Grade was a pleasant surprise. It’s about a shy Eighth Grade girl who battles her anxiety and you literally feel every anxious moment. The fun twist is the girl has a YouTube channel and on her videos she is the complete opposite. To her viewers she appears to be very confident and you would assume that she was the most popular kid in school. The one tragedy of this film is there are a couple of scenes that made this movie rated “R”. I think they should have toned it down a bit to give it a “P-13” rating because I think it would have been a great movie to help middle school kids deal with their issues. Black Klansman was a movie that I missed in the theaters and I saw this week on home video. 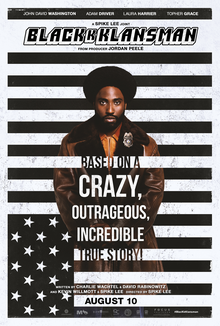 It is based on a true story of a black cop and his Jewish partner who infiltrated the K-K-K back in the late 70s. Like any true stories made into a movie, they did take some liberties but not many. The fact that some of these events really happened enhanced the enjoyment of the film. There is a lot of comedic elements but because it deals with racism, it’s intense. Though we have come a long way, there was a montage of news clips that showed how bad things still are. It had me in tears… not just wet eyes but tears streaming down my face. This is an important movie to see and it does a great job at making you think. A Simple Favor has the perfect mix of comedy and suspense. There are so many twists in this movie that it keeps you guessing. The main character of the movie is a single mom who befriends the mother of her kids friend. She admires as someone who appears to be successful and has it all together… but when her new friend goes missing the movie is a rollercoaster of fun as it peals back the layers of what happened. I don’t want to say anymore because it is best to go into this movie as blind as possible. 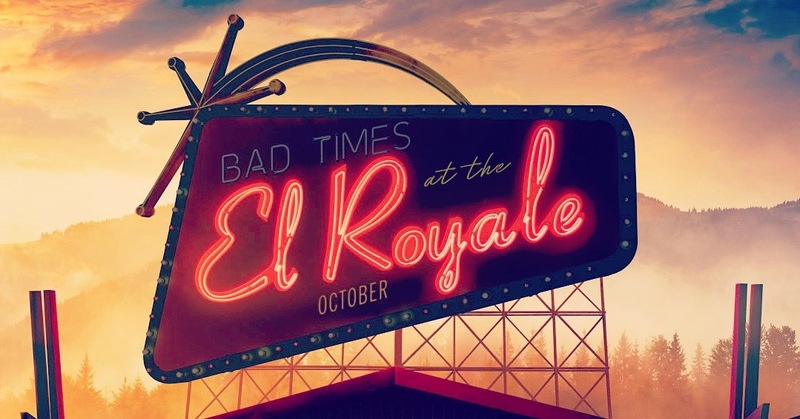 Bad Times at the El Royale is my favorite movie of the year. Everything about this from the writing, directing, acting, sets, and music choices is PERFECT. There is nothing I would nitpick about this movie… SEE IT.. So much fun. It is set in a hotel in the hills that is on the border of California and Nevada in Tahoe. The middle of the lobby has a line through it and the California and Nevada side each have their own unique style. It takes place in 1969 and the idea is a bunch of people with issues end up in this hotel on the same night and insanity ensues. Just when you think you know where the plot is going it shifts directions (It shifts MANY times!). I saw it in the theater twice and pre-ordered it on home video the day it was available. It is now available for rent so check this out. This is another movie I didn’t expect much from. I didn’t see a trailer so I didn’t know what to expect. All I knew about it was that it was a monster film set in World War II. It feels like an old school B movie. 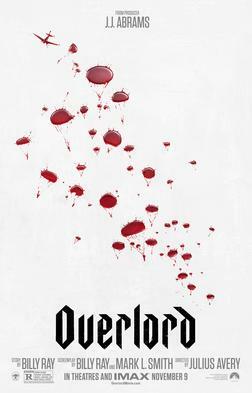 It starts out right in the action of a WWII movie and quickly shifts into a Zombie Nazi monster film. The pacing of the movie is perfect. There is no moment where this movie drags. Into the Spider-Verse was a surprise to me how much I loved this. When I first heard that they were doing an animated Spider-Man movie I thought SONY was crazy considering they have a successful live action Spider-Man franchise. Also the fact that it was going to focus on a Spider-Man that wasn’t Peter Parker made me skeptical. After seeing this I am convinced that this IS the best Spider-Man movie ever. I love that they use the concept of parallel universes colliding which makes it possible to have many different versions of Spider-Man in one film. 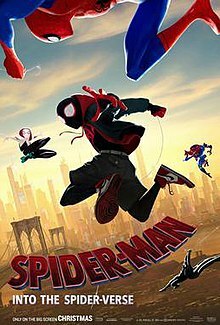 I took my niece to see it and she loved it because of Spider-Gwen who was one of 2 spider people in this movie. I’m not sure how the 2D experience would be but I saw it in 3D and it was one of the best 3D movie experiences I’ve ever seen and I’m not typically a fan of 3D. I LOVED the Transformers as a kid. I collected many of the toys and loved to transform them from vehicles back to robots. When they started making live action Transformers movies I HATED the first one so much that I didn’t continue watching the series. From what I heard, they got progressively worse. With Bumblebee this is the movie I would have wanted when they first started releasing these films. It’s a prequel so it has none of the baggage that the other films had. You may have heard this elsewhere but it felt like an 80s Spielberg movie. It was set in the 80s so that helped with the look. 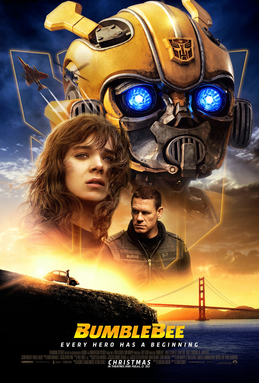 Hailee Steinfeld (see her in Edge of Seventeen) is an amazing actress and she does an excellent job at helping the audience feel for an oversized robot. Even though the plot has some “paint by numbers” elements, it had so much heart that I cried at least 3 times while seeing this. It also bumped Ready Player One out of my top list because it did a much better job with 80s Spielberg nostalgia. So that’s my list. Let me know what you thought. Also what are some of your favorite movies of 2018?